Alan Gibson formed The Wing Chun Federation in 1990. The federation’s objective is to teach skill-based Wing Chun Kung Fu in a relaxed and accessible manner, where emphasis is placed on good technique and personal development. Wing Chun can be simply learnt by commitment and patience and a high level of proficiency can be obtained quickly and with ease. 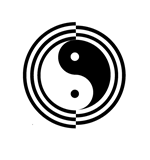 The Wing Chun Federation is a non-political and independent organisation. We often organise seminars by guest teachers. These are normally held at The Wing Chun Federation’s H.Q. in Southampton. Previous visiting Hong Kong coaches include, Cliff Au Yeung and Wan Kam Leung, both full time students of Wong Shun Leung and Ip Chun (eldest son of Ip Man). New members are always welcome in all our clubs and although a basic level of fitness is obviously helpful in any athletic endeavour, previous experience is not necessary. We can coach you, as required, from beginner to expert. All you need to do is turn up regularly to class, train hard and practise correctly, as guided. Joining The Wing Chun Federation as a coach/club is simple and holds many benefits for members. You and your students will be invited to all our events and seminars by outside teachers and our own experts. We can help you with your teaching and personal development, by supplying syllabuses, exercises and resources to help you improve your skill and knowledge base. You will get access to the Members Only area of the Wing Chun Federation website and be able to contribute articles to the blog if you wish. You will be part of a robust, no nonsense organisation. We will promote you as an instructor – via our very popular web site, once you are qualified to teach. All we ask in exchange is for you to train with us at least twice a month and organise and host, at least two WCF seminars each year with a minimum of 10 people paying £40.00 each (cost may vary according to travel etc). It is normal to have an introductory seminar, followed by a progression through the forms. However, you could select any specific Wing Chun subject that you would like to be covered in detail.